→ T.H.U.N.D.E.R. 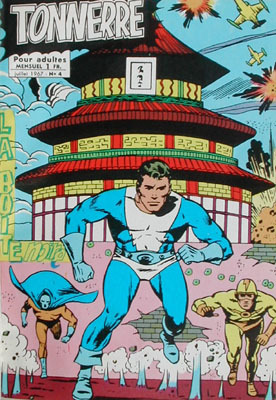 Agents (Tower) #6 (5) (07/66) NoMan - To Fight Alone ! → T.H.U.N.D.E.R. 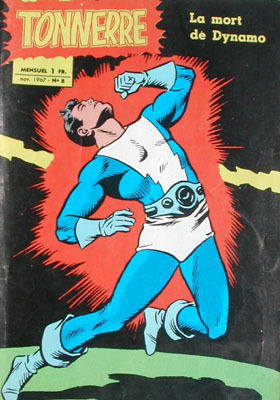 Agents (Tower) #4 (4) (04/66) The Origin Of T.H.U.N.D.E.R. → T.H.U.N.D.E.R. 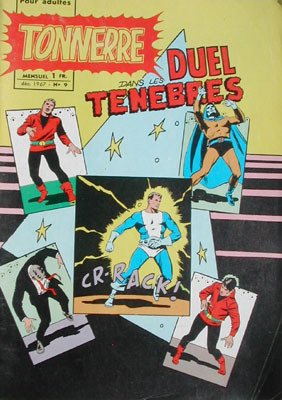 Agents (Tower) #9 (4) (10/66) T.H.U.N.D.E.R. Agents - The Black Box Of Doom ! → T.H.U.N.D.E.R. 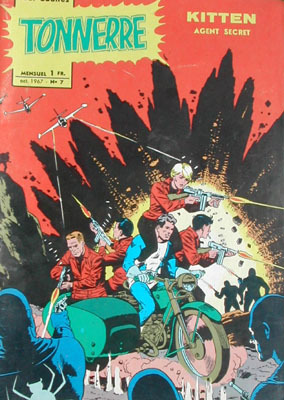 Agents (Tower) #7 (6) (08/66) Mentho - A Matter Of Life And Death ! → T.H.U.N.D.E.R. 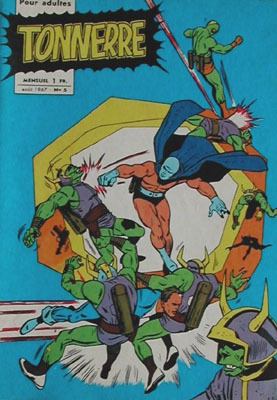 Agents (Tower) #8 (6) (09/66) T.H.U.N.D.E.R. Agents - Final Encounter ! → T.H.U.N.D.E.R. 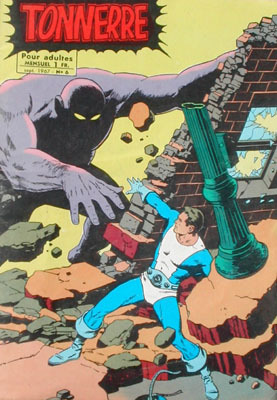 Agents (Tower) #10 (4) (11/66) T.H.U.N.D.E.R. Agents - Kitten Or Killer ? 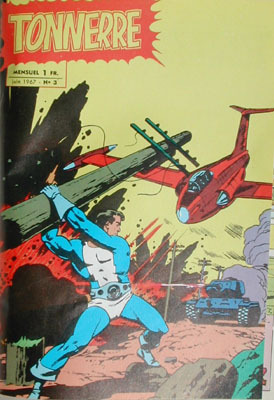 → UNDERSEA Agent #6 (1) (03/67) Doomsday In The Depth ! → T.H.U.N.D.E.R. 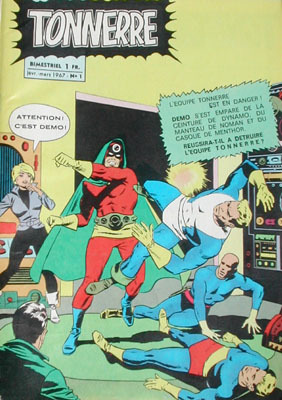 Agents (Tower) #11 (3) (03/67) NoMan - The Trap ! → T.H.U.N.D.E.R. 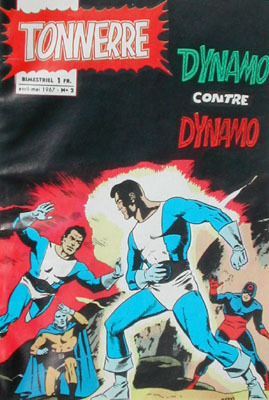 Agents (Tower) #8 (1) (09/66) Dynamo - Thunder In The Dark ! → T.H.U.N.D.E.R. 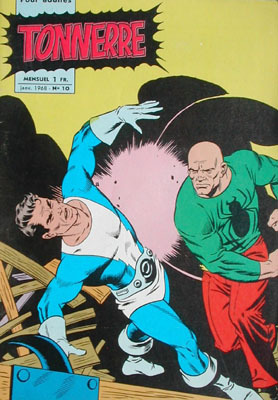 Agents (Tower) #12 (1) (04/67) Dynamo - Strength Is Not Enough !